The Moulin Rouge had been operated for less than a year in 1955. The importance of this site to local culture is that it was the first racially integrated Las Vegas resort. The real estate development company is Republic Urban Properties. Michael Van Every is one of the financial backers who will take the plan to the public and board. In recent Las Vegas casino news, a local developer, Moulin Rouge Development Corp., has tried for the past four years to redevelop the resort. Republic Urban Properties hopes its expertise in urban city revivals takes the plans to fruition. Throughout the design and permitting process Republic Urban Properties will financially support the project and then seek outside investors. The company would finance the project throughout the design and permitting process then seek investors from the financial markets. In the past half a century the neighborhood has declined since the glitz and glamour of the building’s first opening. Surrounding local businesses include empty buildings, a soup kitchen, used car dealership and United Parcel Service center. The current real estate development proposal calls for 50,000 square feet of convention space, 30,000 square feet for gambling, a 700 room hotel tower, a concert venue with seating for 1,200 people, a small jazz center and a pool. 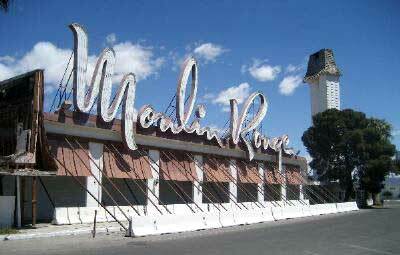 Moulin Rouge Las Vegas casino presents plan to city planners Thursday.